Removing a program that refuses to uninstall in Windows is a computer repair frustration that has been with us since the early days of Windows XP. Even with its own add and remove tool or by using the program uninstaller, there are some programs that just won’t let go. If you find yourself in this situation, I am here to help. The Windows installation process is quite messy and involves copying files into a number of locations and making changes to a couple of databases. This can often be the reason behind not being able to uninstall a program in Window 10. Before we get into how to remove a program that refuses to uninstall in Windows 10, let us first take a look at how it installs. It gives you a great idea of how Windows works and give you an insight into an aspect computer repair that we do here at Dave’s Computers. When you install a program in Windows, the installer has to do several things. Copies of DLL and shared files are copied into System32 and Common Files on your C drive. The Windows registry is updated to reflect the new program and to point Windows at its various dependencies and resources. Keys are added as required, including one to the uninstall tool that should be packaged with the program. The Setup log will be updated to tell Windows where to find resources and the uninstall tool. Rules are updated to allow the program to access system resources, the internet and anything else it might need to work. You may or may not be prompted during this process. So that’s what happens when a program is added to Windows. When you uninstall a program, Windows refers to that setup file and the registry to look for the uninstaller. If it cannot find it for some reason, uninstallation will not continue. If the setup log file or uninstall entry in the registry is corrupted, changed or otherwise interfered with, uninstalling using normal means will not work. Some third-party programs will not have complete uninstallers or won’t have them at all. Did you know you can also remove Windows 10 apps? While not exactly a cause for serious computer repair, having these programs on your computer taking up valuable disk space is a bit of a pain. To remove them, you have a couple of options. You can try the program uninstaller, manually delete all entries from the registry or use a third-party removal tool. The first one doesn’t always work and the second is time consuming so the third option is usually the way to go. In the spirit of completeness, I will show you how to perform all three actions though. If the program won’t uninstall using the Windows uninstaller, try the program-specific one. If that doesn’t work you need to assess whether the uninstaller itself is incomplete or doesn’t work or whether something has happened to the log file or registry entry for that uninstaller. While it may seem counterintuitive, installing the program again helps here. If the installer is merely corrupted, reinstalling it can fix that corruption. The uninstaller may then work. If it doesn’t have a proper uninstallation tool or it still doesn’t work, move on to another method. 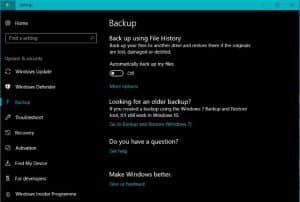 Select File and Export to make a backup copy of the registry in case something goes wrong. Find the program in the folder and delete the key. Some folders are named, others have a code. Look at the DisplayName in each to see what program it refers to. Repeat in HKEY_CURRENT_USER\Software, HKEY_LOCAL_MACHINE\Software and HKEY_LOCAL_MACHINE\System\CurrentControlSet\Services. You can also highlight Computer in the left pane and press Ctrl + F and search for the program name if you prefer. Navigate to the installation location of the program and look for the installation or setup log. Find the installation locations of all files and folders from the install. As you can see, this method takes quite a bit of digging around to do properly but is an effective way of removing all traces of programs that won’t uninstall on their own. Just remember to take a copy of the registry before making any changes otherwise a simple computer repair task gets a lot more complicated! There are a good number of third party tools that help manage programs, system resources, registry and all that good stuff. My favorite is CCleaner. I don’t work for them or get paid to recommend them, I just do it because the program is good. CCleaner has its own uninstallation feature that actually works pretty well. It also has a registry tool that can tidy up any loose ends left in your registry which is also useful. Download and install CCleaner. There is a free and a premium version available. Select Tools in the left menu and Uninstall. Find the program you want to uninstall and select Uninstall from the right menu. Select Start-up from the left menu under Uninstall. Remove any program entry that allows it to start with Windows. Select Registry from the left menu and Scan for Issues at the bottom. Select Fix selected issues if the program finds anything. Select save a copy of the registry if you didn’t take a backup above and let the cleaner complete. Quite often, if the program uninstaller won’t work, CCleaner will. It isn’t always the case though but in that instance manually removing registry entries, deleting the folder and then running the registry cleaner in CCleaner is enough to get things how you like them.